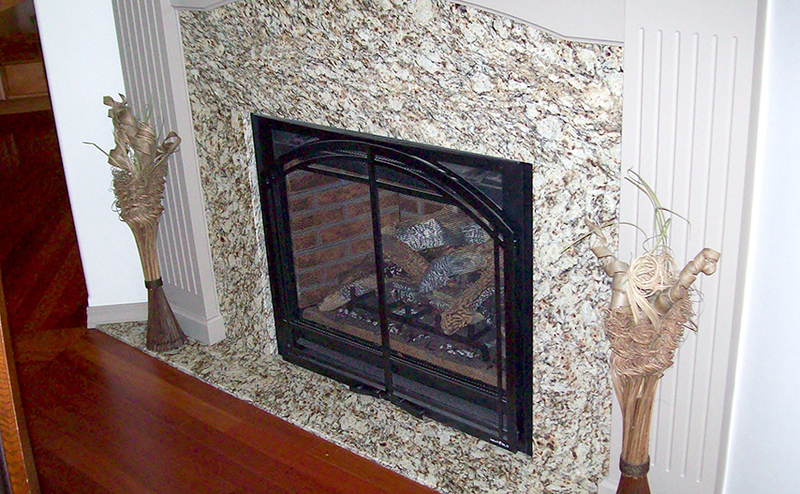 Unique stone, wood and solid surfaces throughout add to your home's beauty and value. Tops’ savvy design, creative fabrication and professional installation can transform any room in your home into a unique, functional space that you’ll love to live in. Look to Tops Solid Surface for unique stone or tile fireplace surrounds and hearths, fireplace mantels crafted from gorgeous stone slab, live edge wood or tile, dining table tops of stone or wood, tile flooring, cabinetry and shelving to add stylish storage in every area of your home…and more. 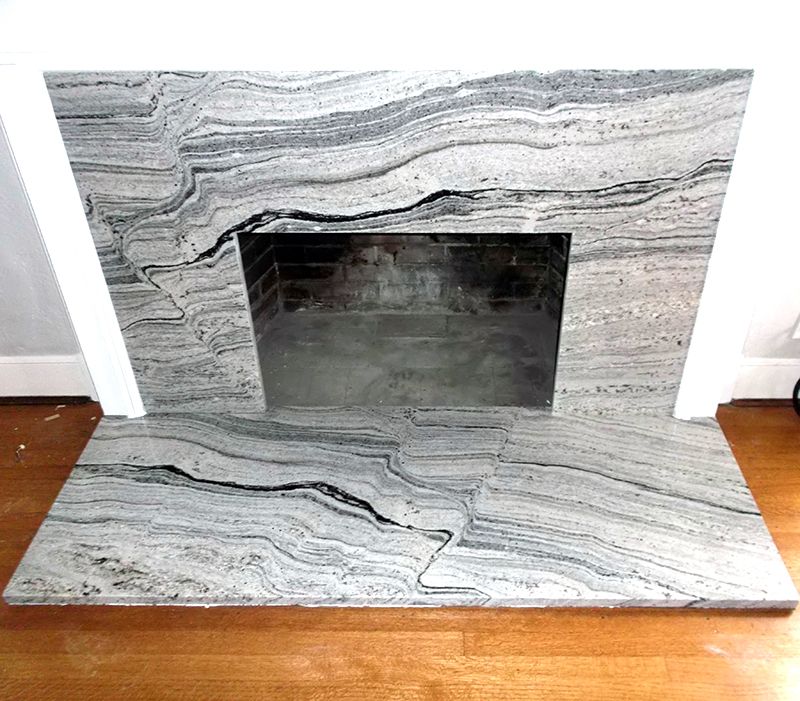 Stone slab including granite, quartz, marble and soapstone are beautiful and unique choices for tabletops, buffet tops, desks, fireplace surrounds, offices, art studio surfaces, laundry room countertops, shelves and many more surfaces in your home and office. Tops remnants are a great low-cost option for smaller projects throughout your home, such as shelving, dresser tops, table tops, buffet tops, art studio surfaces, laundry room countertops and more. 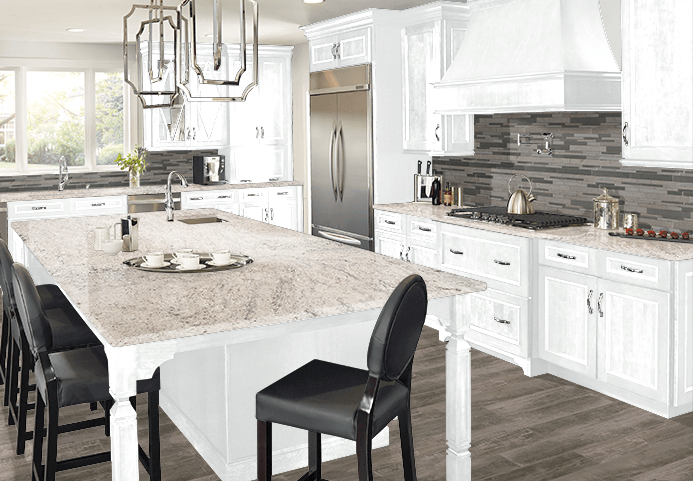 Save money choosing from hundreds of beautiful generously-sized remnants of marble, granite and quartz and more, which will be custom cut for your project. Whether your space is high-function or high-fashion, Tops Solid Surface is your place for complete tile design and installation services for floors, walls, fireplace surrounds, kitchen and bathroom backsplashes and more to enhance your home. Work with our manufacturer-certified cabinet specialists to utilize your space to the fullest in creative and beautiful new ways. We can recommend ways to work with your existing cabinets, or help you design custom cabinetry for your kitchen, bathroom, laundry, linen closet, or any other space in your home. Chose from our standard line of cabinets or take a look at our Schrock website today to look at the many options we have to offer! Visit http://topssolidsurface.schrock.com/. Beautiful woods are locally sourced, harvested, or salvaged and reclaimed wood is milled and kiln-dried in Tops’ own South Sound facility, then artisan-crafted for stunning interior accents. Tabletops, floating headboards, shelving, and fireplace mantles are just a few of the choices we recommend, possibly finished in live edge, natural edge, square edge and butcher block to capture the ambiance of your home. Call Tops today for your free home design appointment at 360 459-3000, or stop in during our Design Center hours.